The Parents' Club of St. Agnes Catholic School will host an Under the Big Top Trivia Night on Saturday, October 15th. The doors of the school gymnasium will open at 6:30 p.m. and the evening of fun will begin at 7:00 p.m. Participants may be bring their own food, but buy beer, wine, and soft drinks from the Parents' Club. Tables are available for teams of 8-10 people. If you're interested in gathering a group of your family and friends to join in this enjoyable evening, let me know and I'll put you contact with the right person to reserve your table. General:That journalists, in carrying out their work, may always be motivated by respect for truth and a strong sense of ethics. Mission: That World Mission Day may renew within all Christian communities the joy of the Gospel and the responsibility to announce it. Please remember these intentions in the charity of your prayers. 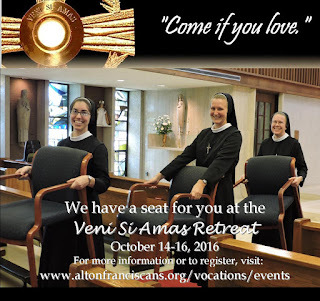 The Sisters of St. Francis of the Martyr St. George - my favorite group of Sisters - will soon host a discernment retreat for women between 17 and 30 years of age. 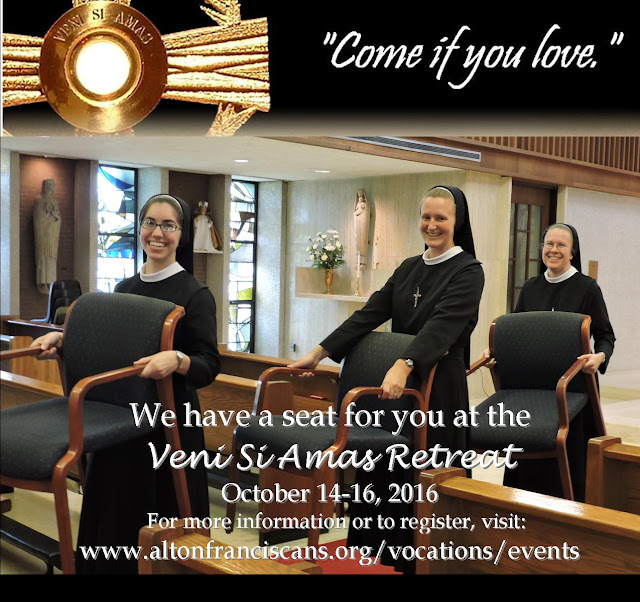 The retreat, under the title Seeking His Heart, will be held be at St. Francis Convent in Alton, Illinois October 14-16. Those interested in the retreat should visit this page for more information. Cardinal Koch: "It is a wonderful event to be in front of the Face of Christ"
Earlier this morning I mentioned the Italian text of a recent interview His Eminence Cardinal Koch granted to Paul Badde on the Volto Santo following a recent pilgrimage of seventy Orthodox Bishops who celebrated the Divine Liturgy at the Shrine of the Holy Face in Manoppello. 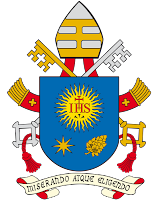 (Manoppello, September 2016 / 9:15 a.m.) In 2017, it will be 500 years since in the West the Lutheran brothers and sisters began to separate themselves from the Pope and from the Roman Catholic Church. However, even older than the Reformation and the division of the Western Church is the Great Schism of the East, and the division of Christianity into the Church of the East and the Roman Catholic Church in the West, which occurred in 1054 between Rome and Constantinople. Only on December 7, 1965 Pope Paul VI from Rome and the Ecumenical Patriarch Athenagoras from Istanbul solemnly cancelled the reciprocal anathemas “from the memory and from the center of the Church” “abandoning them to oblivion.” But the Eastern Church and the Western Church remained estranged, above all from the cultural point of view. Now, however, at the invitation of Archbishop Bruno Forte of Chieti-Vasto, on September 18, 2016, seventy Orthodox bishops celebrated the “Divine Liturgy” of Saint John Chrysostom under the Face of Christ, there exposed above the principal altar, together with two cardinals and numerous other prelates of the Roman Catholic Church in the Basilica of the Holy Face of Manoppello. Cardinal Koch: Christians believe in one God who showed his concrete face in Jesus Christ. When we know more closely the Face of Christ and when we more deeply identify ourselves with him, the more deeply we become one, as well. 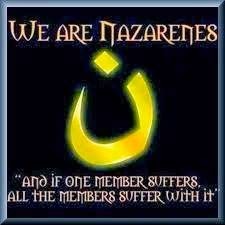 For this is a wonderful event to be in front of the Face of Christ, to pray, to venerate the Face, because it fulfills his [Christ’s] desire that we be one.